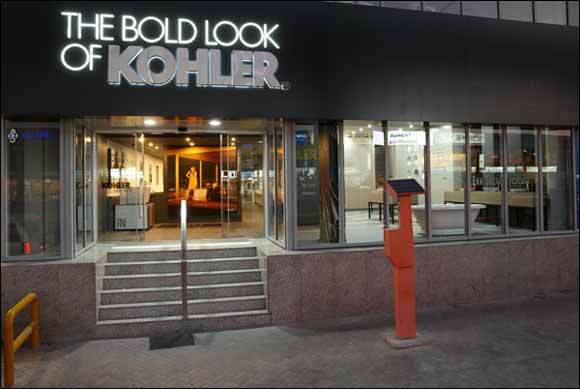 Dubai, January 21, 2014: Kohler Co., a global leader in kitchen and bath design, has announced the opening of its Kitchen & Bath Gallery in Dubai - Kohler's one and only signature showroom and its largest in the GCC. The opening of the new showroom comes as part of Kohler's five-year strategy, which includes opening additional showrooms in the UAE and region in an effort to strengthen the customer experience and general distributor network. The signature showroom was inaugurated by David Kohler, President and Chief Operating Officer, who shed light on Kohler's latest products introduced for the first time in the UAE and the region as well the company's latest achievements and developments. “At Kohler we strive to bring a new element of gracious living to our customers through their experiences with our products,” Kohler said. “It's about a quality of charm, good taste and generosity of spirit that is especially appreciated by our customers in the Middle East—they embrace bold design and leading functionality, as well as recognize the importance of water conservation and sustainability. I'm particularly excited to be here today celebrating this stunning showroom that is one of the most impressive I have seen around the world,” concluded Kohler. “Kohler is also another step forward in the direction of reaching it sustainability goal of a net zero environmental footprint by 2035. Today we celebrate another achievement – one we've been working on for some time. I am proud to announce that we are now officially Estidama certified in Abu Dhabi, UAE,” concluded Michel. The 400-square-metre Kohler Kitchen & Bath Gallery in Dubai serves as an inspirational hub for specifiers, architects, consumers and designers alike to explore bold designs and displays for the kitchen and bath from Kohler's US and European products, which appeal to Dubai's contemporary and traditional tastes. For more information on KOHLER products, please visit the Kohler Co. website at me.KOHLER.com.